NVIDIA promises we're at the dawn of a new age of medical imaging as supercomputers with its Volta GPUs can achieve amazing feats. By using deep learning systems, hospitals will get access to more detailed medical imaging. 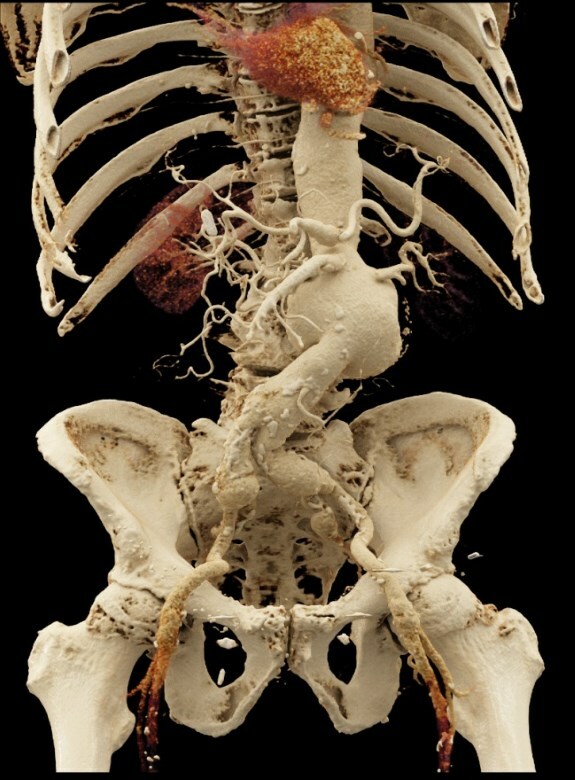 The GPU-powered systems can transform data from CT scans, 3D ultrasounds and MRI into volumetric rendering to generate an all-in-one 3D representation of what's going on in your body. This automation can save radiologists time by making it easier to see the evolution of a tumor. NVIDIA also promises better 3D segmentation of organs than current techniques. Furthermore, NVIDIA reveals it's possible to produce photorealistic depictions of the human body. The company says this new generation of medical imagery would enable radiologists to recognize subtle texture changes, depth perception and spatial relationships to surrounding anatomy. NVIDIA GPU computing and deep learning will enable a new cycle of breakthroughs that improve image fidelity, reduce radiation dose and drive further miniaturization. With NVIDIA GPUs, future medical imaging systems will be compact AI supercomputers that will give doctors Superman’s see-through abilities, and instantly respond to voice commands to find and highlight anatomical areas of interest. As early detection is one of the best ways to save lives, these intelligent medical instruments will become an increasingly vital weapon against disease. More details can be read at the NVIDIA blog.